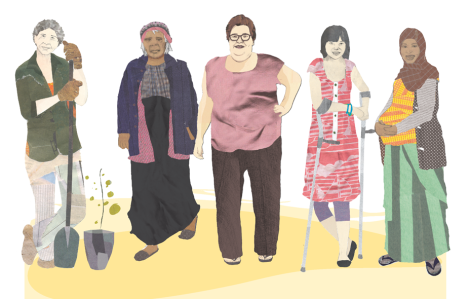 Sunrise women’s groups are for women in Melbourne’s west who are living with a disability, want to meet other like-minded women and feel connected. Sunrise is for women with a physical and/or intellectual disability, and women who experience mental illness or chronic Illness. Sunrise groups get together fortnightly in Melton, Laverton, Sunshine and Wyndham. All venues are wheelchair accessible and public transport is nearby. What types of things do we do at Sunrise? Try new things and have some fun! It’s free to join, and most of the activities are free too. We also have a social group for women who care for a family member or loved one with a disability. This group meets fortnightly at Melton Library. To find out more about the Sunrise groups and where they are, or to get a copy of our latest calendar of events, please call or email Tess, the Sunrise project worker at Women’s Health West. What if I feel a little nervous about coming along? The first step is to ring the Sunrise project coordinator, she will arrange to meet with you and can help you work out what assistance you might need to come along. For example, you might want to come along with someone you trust while you get to know the group. If you are interested in joining but feel a little unsure, we encourage you to give us a try. We would love to meet you.